Niranjan Raykar, Harshad Pardeshi and Omkar Aware stay in the slums of Pune, Maharastra Their parental income ranges between $1125 and $ 2343 per year. They are brilliant and ambitious to get into the IITs. They study in poor, no fee schools and do not have the means to buy good coaching. They are the Grade 9 students supported by GREAT Foundation to prepare them for tough engineering entrance exams. The coaching has with your support helped the students score 100% marks in Math and Science. A bright future is being paved for them. Project Udaan ( 'to fly') strengthens the conceptual foundation of 15 bright government school students in Pune. It provides rigorous coaching in Science, Math and English for 6000 hours over 4 years to prepare them to successfully join and graduate from internationally reputed colleges -the Indian Institutes of Technology (IITs)- considered way beyond their reach. The goal is to create equal opportunity for quality education and help them come out of generations of poverty and illiteracy. Having taught in IIT Bombay, I saw over 60-70% less privileged students who enrolled every year, fail to graduate because of this gap in their education. The tragedy did not end here. Later, they were unable to enroll in colleges outside having missed their admission deadlines. This pained me deeply and I decided to set up an NGO to help such students move forward in life with dignity. 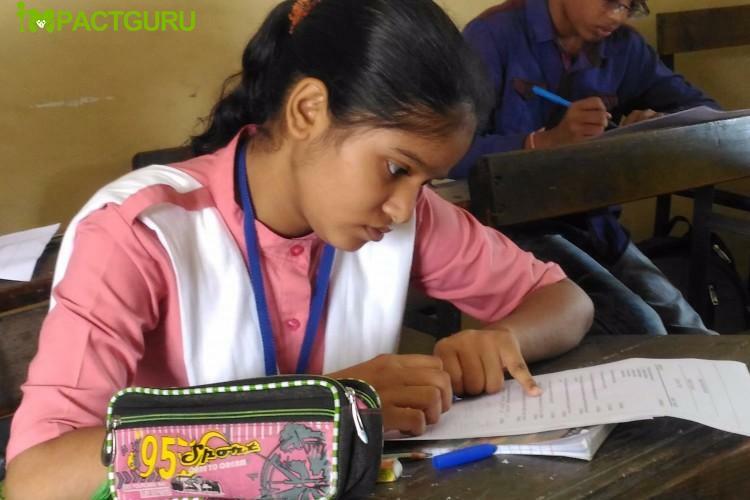 GREAT Foundation's Project Udaan provides intensive free coaching of 500 hours each in Grade IX and X, and 2500 hours each in Grade XI and XII. It builds a strong conceptual foundation in Physics, Chemistry, Math and English in bright less privileged students to help them clear the Joint Entrance Exam (JEE) to the IITs and graduate from these premier engineering colleges. By making them capable of earning Rs.1,920,000/- a year or more, we empower them to find freedom from poverty for themselves and their families. The project will create opportunities for socio-economic equality for 15 students from under-served families and allow them to experience enhanced financial and social status. I need Rs. 3,00,000/-this year to coach 15 brilliant Std 9 students without the means and prepare them for clearing the JEE. The goal is to empower them to enter and graduate from the IITs as well -trained engineers. We are encouraging the 'Sponsor a Buddy' initiative in the students to make the program sustainable. Rs. 25,000/-per student will be used on providing 500 hours' coaching in Physics, Math, Chemistry, English for one year, providing the IIT Foundation Course (Year I) Text books, stationery etc. Friends, I need your help. You may donate small amounts such as Rs. 100/-, Rs. 500/-, Rs. 1000, Rs. 2000, Rs. 5000/- Rs. 10000/-, Rs.20000/- or Rs. 50000/- to sponsor two students (@ Rs. 25,000/- each) to help us meet the goal amount of Rs. 3,00,000/- before 31 October , 2017. You may also spread awareness about our project among your many friends. If you wish to visit the project site we would be happy to take your there once you have donated. Please support our children and change their lives. Your share could be as good as a donation for Global Research Education and Training Foundation!